It is North Borneo Cruises's policy to respect your privacy regarding any Personal Information we may collect from you across our website, NorthBorneoCruises.com. NorthBorneoCruises.com, either directly, through our Social Media handles, or through our agency and booking partners collects, holds, uses, and discloses, only as necessary, the following Personal Information from customers and others in the course of offering services or providing services to you: Full Name, Age, Phone Number, E-mail Address, Passport, and Travel Medical Information, where required; insurance details, where applicable; nationality, residency, nutrition preferences, trip evaluations, travel & accommodation preferences, comments you provide us, trip destination information, credit card and/or other payment information, etc. The collection of these information is done to allow us to provide services to you as requested. Why Would My Personal Information Be Collected? NorthBorneoCruises.com only asks for and collects Personal Information when it is necessary to deliver the services, products, or information to you, or should an agent, or another passenger booking on your behalf, requests so. This includes using Personal Information to: register you to receive newsletters, answer your request(s) for further information about our trips, make (a) booking(s), provide you with information about the Company and/or our services, and to receive and implement feedback on those services. We collect it by fair and lawful means, with your knowledge and consent. We will also inform you as to why we are collecting it and how it will be used. How Is My Personal Information Disclosed & With Whom Is It Shared With? 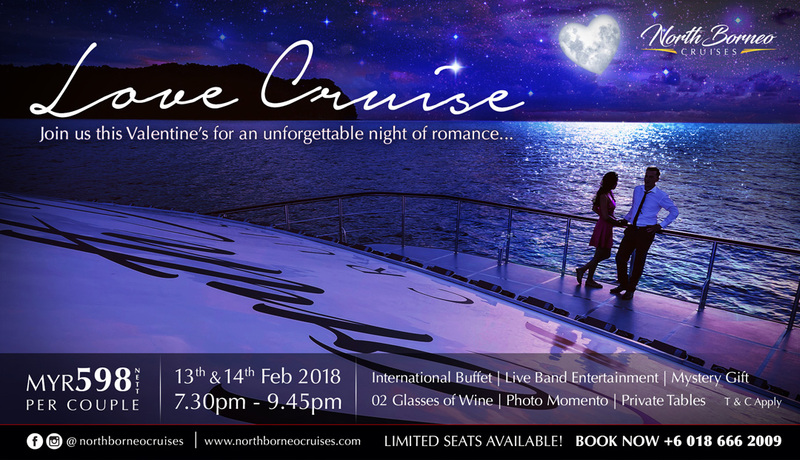 NorthBorneoCruises.com may use your Personal Information to book products and services for you or on your behalf from our Third-Party suppliers and service providers, or other service providers or merchants for whom we act as Agent from time to time. This collection of Personal Information is for both our internal purposes, for example, to process your booking, and occasionally on behalf of the parties for whom we act as an Agent, for their internal purposes in providing the services or products you have requested. NorthBorneoCruises.com will share your information with external suppliers (such as guides, travel companies, hotel companies, insurance companies, equipment suppliers, promotion or sweepstakes co-sponsors, and credit card processing entities etc., all of which may be located outside of your country of residence and governed by differing privacy legislation) who perform services on our behalf. As you would expect, certain information must be provided to these suppliers to facilitate your booking(s) and to provide you with service(s) you have requested. These partners and suppliers are located all over Malaysia - you can reasonably expect your personal information to be shared with organisations we work with in Malaysia, and in some cases, to the country of the head office of such Third-Party partner supplier(s) anywhere in the world. The Security and Integrity of your Personal Information is important to us. We don’t share any personally identifying information publicly or with third-parties, except when required to by law. NorthBorneoCruises.com only retain collected information for as long as it is necessary to provide you with your requested service. On occasion, you may have to provide your Personal Information to us again where it has been deleted. All Personal Information is stored in secure databases at secure addresses to prevent unauthorised access. Passwords, encryption devices, and firewalls protect these databases. Please note, however, that no data transmission over the Internet can be guaranteed to be 100% secure. While we take all steps to ensure the safety of your data, we cannot ensure the security of information you transmit to us over the Internet. Access to your personal and private information is limited to: authorised employees of NorthBorneoCruises.com, and any of the Third-Party suppliers who require your information to provide the travel or other services you have requested (such as transportation services, hotels, activity providers, and tour guides who deliver the services you purchase through NorthBorneoCruises.com or that we arrange on your behalf). We keep our employees and our Third-Party suppliers, and other partners informed about our policies and procedures and require strict compliance with this Policy to ensure your Personal Information remains protected. Unauthorised access and/or disclosure of Client information are strictly prohibited. If you do not provide the Personal Information that we request, we may not be able to deliver the services you have requested, which may mean you will not be able to participate in our trips, purchase the items from our store, or subscribe to our newsletter; to name a few. If you have paid a deposit and later refuse to provide necessary Personal Information to NorthBorneoCruises.com which NorthBorneoCruises.com (or our partners and suppliers) require from you to deliver the service for which the deposit was paid (for example, for any package(s) which requires passport information), you may not be entitled to a refund for that service. Please contact us should you have any questions about providing or not providing Personal Information when booking or otherwise dealing with NorthBorneoCruises.com. Personal Information is not collected unless provided to us. This means you can visit and browse our website, or contacting us at info@northborneocruises.com, without having to provide any Personal Information to NorthBorneoCruises.com. Third-Party consent (i.e. from your travel agent, or the passenger booking on your behalf to whom you have provided your personal information for such purpose). Can I Access My Information & Whom Do I Contact? You may request access to, or the right to view, update, and/or correct much of your Personal Information, subject to certain limitations, by writing in to info@northborneocruises.com or filling up our contact form online at http://www.NorthBorneoCruises.com/. If you wish to review or verify the Personal Information you have provided to us, determine to whom your personal information was disclosed, amend or to delete any information, please contact us in writing. Subject to legal restrictions and in compliance with the General Data Protection Regulation, you can withdraw your consent to our use of your information at any time and with reasonable notice. If you refuse or withdraw your consent for any purpose that is required by us to fulfil our product or service contract with you or the Company, we will not be able to provide you, or continue to provide you, with the product or service you have requested. If you have any feedback(s) about NorthBorneoCruises.com’s collection, use, disclosure, or dealing with your Personal Information, if you believe that NorthBorneoCruises.com is in violation of or have any questions about NorthBorneoCruises.com compliance with applicable privacy legislation in relation to your Personal Information, please send a written letter or an E-Mail to NorthBorneoCruises.com’s Data Protection Officer at info@northborneocruises.com or at the postal address in the contact us section. NorthBorneoCruises.com takes all complaints regarding your privacy and Personal Information very seriously. Upon receipt, the Data Protection Officer will review your complaint within 20 business days and will provide a written response to the return address indicated in the complaint. If such response is not satisfactory to you, we invite you to reply to the Data Protection Officer, who will make every endeavour to resolve your concerns.